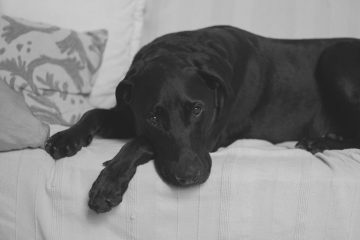 This is my Hyde and Sleep mattress review. It’s a great option and you can read the full review below. You can also find more reviews here. 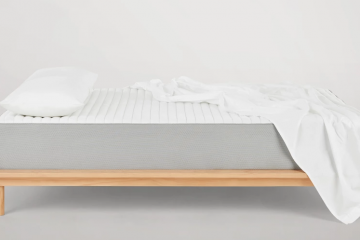 Hyde and Sleep is a new entry to the mattress scene and I was really keen to try them out! They have four mattresses available with the aim to satisfy all customers’ needs. 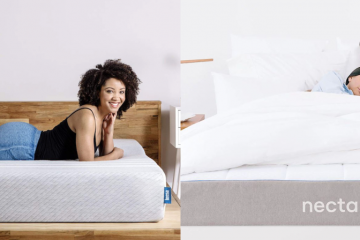 They offer two memory foam mattresses (Next-Gen Memory Foam Plus & Next-Gen Memory Foam) and two hybrid ones (Pocket Sprung Hybrid Plus & Pocket Sprung Hybrid). It’s a British company that ships their rolled mattresses in carton boxes, which is very common these days! Unlike other mattress companies, they make their own mattresses. They design and manufacture them in-house using state-of-the-art equipment. This has resulted in winning several awards, including the ‘Product of the Year’ by Consumer survey of innovation: Mattress category. I got the chance to try the Pocket Sprung Hybrid Plus mattress and this is the one I will review below. I hope that soon I will get the chance to review one of the memory foam versions. This will allow me to get a more complete view of their range and technology. Like any rolled up mattress, you should always give it a couple of days before you start forming your opinion about it. This time will allow the mattress to decompress and take its natural shape. You will also experience a bad smell the very first days but that will go away soon. I am just giving you the heads up here so you don’t get disappointed. So let’s move to the full review now. 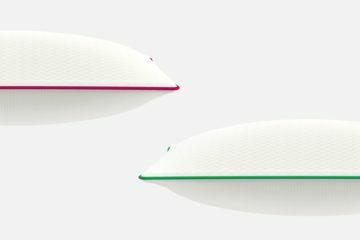 The Hyde and Sleep mattress features three layers in total and the sleeping surface. It is approximately 24cm in depth and is made of the below layers. 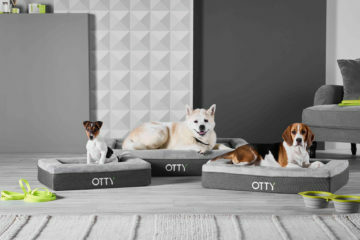 Top Layer: A 3.8cm Memory Foam layer developed by them which contains a natural cooling balm that helps the mattress breath. It also provides you with extra comfort for a good night sleep. Middle Layer: A 1.9cm layer made of mini-pocket springs which individually mould around your body when you sleep. They also give this extra bounce we like with spring mattresses. Bottom Layer: A 17.8cm high-density polyurethane foam base layer. It comes with ventilation channels that allow the air to flow and keep the mattress cool even during a warm night. This layer also works as the base of the mattress. The cover of this mattress is made of really high-quality materials. It is a blend of 98% polyester and 2% elastane. The latter gives the cover a stretchy feeling which is great as the cover ‘hugs’ the mattress very well. The fabric feels quite soft (not as soft as the Emma one which is my favourite cover) and it is highly breathable. This is very important as the design of the mattress allows airflow so the cover should do the same. The design of the Hyde and Sleep cover is quite modern. Branding is applied very discreetly on the sides of the mattress. Depending on the model you will choose, you should expect a different colour. In my case, the Pocket Sprung Hybrid Plus mattress features a raspberry line. You can remove the cover by unzipping it and you can machine wash it at low temperature. That means you can keep your bed fresh and clean with minimal effort. I personally machine wash my cover once a year and I would advise you to do the same. Overall, the Hyde and Sleep cover is one of the best I have seen and they did really well here. 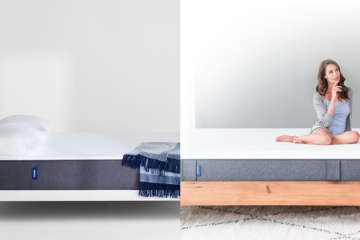 The Hyde and Sleep mattress is a medium-firm mattress that is designed to cover most people’s needs. I would say it feels like a 7 on the firmness scale, with 10 being really firm. Lying on it on my back I felt a nice response from the micro-foils, giving me a nice bounce but also the memory foam moulded around my back and I got this ‘huggy’ feeling that memory foam mattresses give you. The sinkage was low and I felt that the weight of my body was properly distributed. 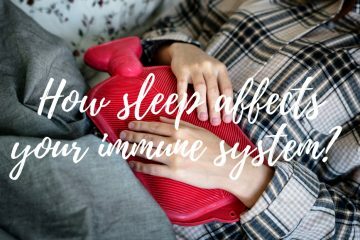 Around my hips area, where I feel the pain from the chronic back issue, I felt that the mattress performed really well keeping my lower back balanced and in a nice form. When I turned sideways, the same feeling was experienced, my body was well supported and the sinkage was ideal for my weight keeping my spine in a nice form. The mattress didn’t feel too firm or too soft so I felt very comfortable. Sometimes, when the mattress is too firm you get a mild pain on your side bones but with Hyde and Sleep that was not the case. However, the position which this mattress performed the best is the stomach one. 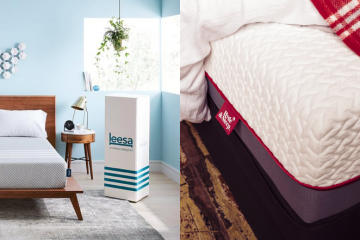 It’s very similar to the Simba mattress, both being hybrid, and I felt that my stomach had the right amount of pressure and support that I needed. My hips were in the right position and compression was minimal. As I have mentioned in the past, I am a stomach sleeper, which is arguably the most difficult sleeping position from a sleeper satisfaction perspective. The Hyde and Sleep Hybrid mattress did very well at this end and I was a happy stomach sleeper for the period of the trial. The sleeping surface has a nice feeling and it follows the norm that we find in this category, so Hyde and Sleep is very similar to Eve and Simba on this end. 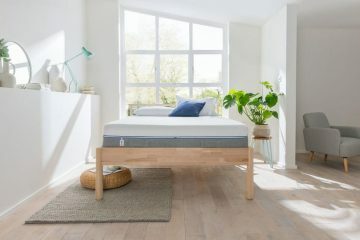 In general, the mattress performed really well in all the sleeping positions and I think it deserves more reputation that it actually has. 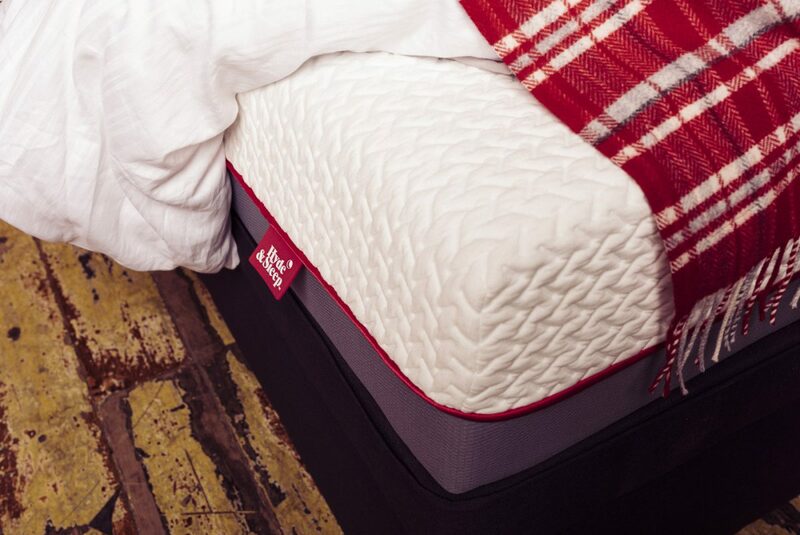 You can place your The Hyde and Sleep mattress on any flat surface. The means that you can put it on the floor or just use the bed frame that you currently have. The mattress comes in many sizes so it’s quite easy to find the one that fits your frame. Unfortunately, there are no EU sizes available so if you have an EU sized base then you won’t be able to use it. As I always point out in this stage, make sure that you use a high number of slats to create this flat surface for your mattress to perform at it’s best. The mattress is as important as the surface that you place it! 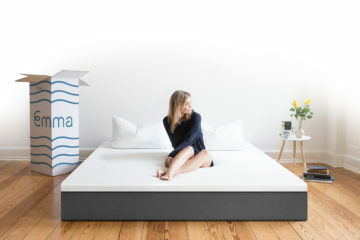 The Hyde & Sleep mattress comes in a box. 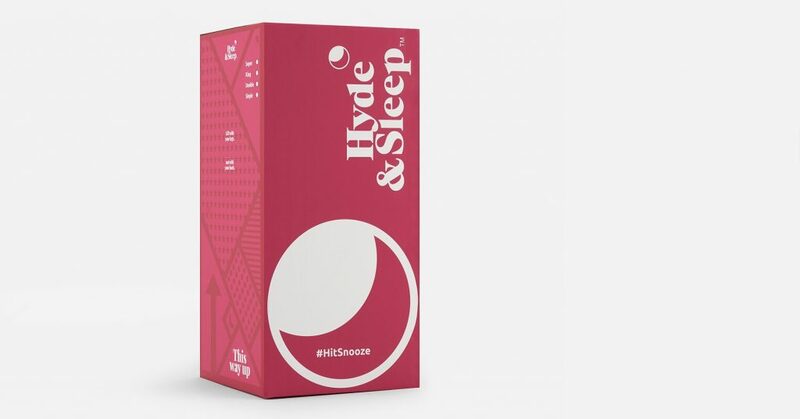 The Hyde and Sleep mattress comes in a nice carton box delivered straight to your doorstep. The size of the box is 50cm x 50cm x 105cm. They offer a Free Next Day delivery service for all weekdays but if you want a Saturday delivery then you will have to pay an extra £25. The same fee applies to all weekday deliveries before 10:30 am. I personally chose the Saturday delivery option and the mattress arrived early in the morning which was great as I could spend the rest of my day outdoors. The delivery service was outstanding and the courier was very polite. Overall, Hyde & Sleep did very well in this field. The Hyde and Sleep mattress comes with a 100 night trial period which seems to be the standard these days. After all, buying a mattress online needs to come with confidence and the Hyde and Sleep mattress does exactly that! It also comes with a 10-year guarantee, which is actually around 3000 nights of peaceful sleep! In the case you are not happy with the mattress then Hyde and Sleep will collect the mattress from your property and give you a full refund! All you need to do is speak to their customer service and they will arrange everything for you. So really no need to worry about anything! 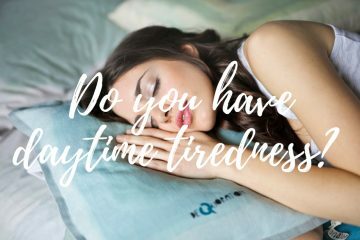 Hyde and Sleep is a direct-to-consumer company which means that there will be no middlemen involved when you purchase your mattress. 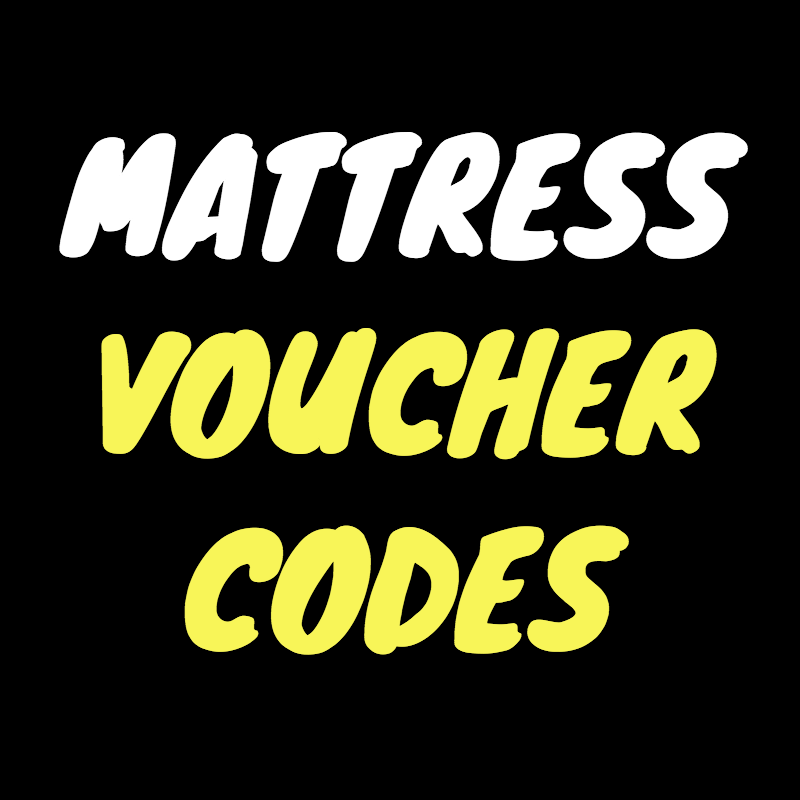 The reason they chose this approach is to be in the position to offer you a really good value for money mattress. And they do exactly that by offering a mattress with the latest technology at very competitive prices. The mattress is available in 4 sizes with the single starting at £499 and going up to £799 for the super king size. I would like to see Hyde and Sleep making EU sizes too as I think it would be very valuable to their customers that want to use their old base. In the table below, you can find full pricing for all sizes. Before you buy, it would be wise to check this page here for great deals! IS THE HYDE AND SLEEP HYBRID FOR ME? 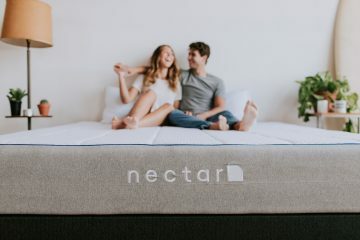 A hybrid mattress that feels medium firm and has the benefits of a memory foam mattress but also the bounce of a spring mattress. 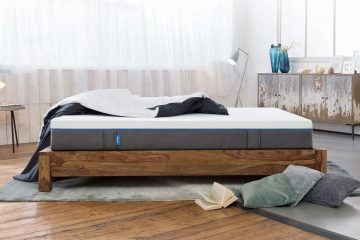 A mattress that offers really good support even on the edges and is ideal for all type of sleepers, including the demanding stomach ones like me. 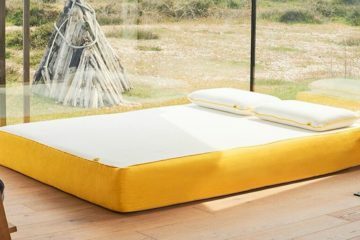 A mattress made in the UK with really high-quality materials at a price that beats all the high street names for what you get. If you look for all these, then the Hyde and Sleep Mattress should definitely be very high in your list. A very well built mattress, with a great delivery service and guarantee that comes with a 100 night trial period. It’s definitely worth the try!